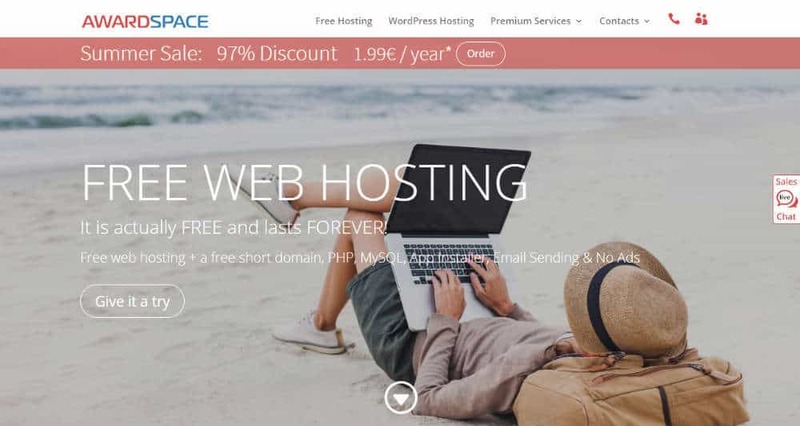 A comprehensive list of 10 Free Free WordPress Hosting 2019 according to 312 users. With 10 Free options to consider you are sure to find the right one for you. WordPress is free to use, but running a website using it, isn’t free! It includes the cost of the domain, server, followed by the cost of producing quality content, SEO services, and many others. For a newbie, the costlier thing among these is the hosting. And, they are always looking to get a better server for as low as possible. Most of them are even looking for the free solutions, which is not recommended, at all. Before you sign up with any of the options mentioned above, you should be aware of following things. Usually, the free hosting providers never provide support, regarding anything. On the other hand, paid ones do provide regular support. The free hosting options are not secured. Nothing on the internet is secured, but these servers are barely protected by any means. In short, they are unreliable. The resources you get with these servers are extremely limited, which clearly means that you can’t run a professional blog or website for long. The features they pack aren’t worthy, and in most of the cases, they are unavailable. Now, the only way you can know the differences in real is by testing out both options. Go ahead and check the free one, and then start with Shared hosting. WordPress.com is the free version of WordPress, although you can pay for better themes if the free ones don’t fit the information you are trying to convey. Hosting is always free on WordPress.com, but there are limitations. For instance –you will need to upgrade if you need specific items added to your blog or website. However, free hosting or not, WordPress.com does have top-of-the-line security and spam detection. WordPress.org, is currently used as a blog or website builder for about 24% of the web. The software itself is free (it downloads on your computer,) but you will need to pay for hosting, as well as your domain name. 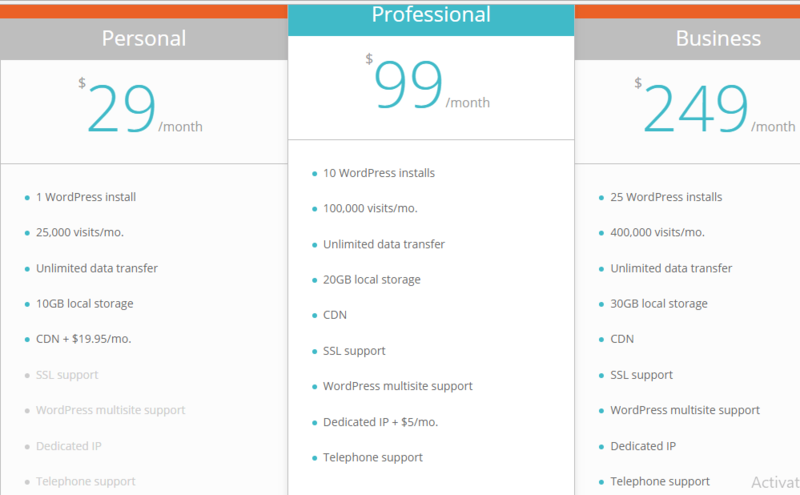 Sometimes this is the better choice because if you pay WordPress.com for all the items you may need, it can be costly. WordPress.org has some free themes, but you can buy premium themes, too. Some domain sites, such as GoDaddy.com, will allow you to purchase your domain name and hosting while providing a way to build a WordPress site within tools. Of course, this service is not free. The main reason that free hosting isn’t a good option, however, is not because of hidden fees. It is because the security at their site isn’t very good. There have been stories of sites being hacked and taken over, or just outright stolen from the rightful owner. I liken it to that show “Naked and Afraid.” You are out in a wilderness, unprotected and vulnerable. Who knows what could happen. If you are just learning and can’t afford a paid option, then use a free host. Just make sure that your site is a WordPress site. The protections built into either version will be a big help. 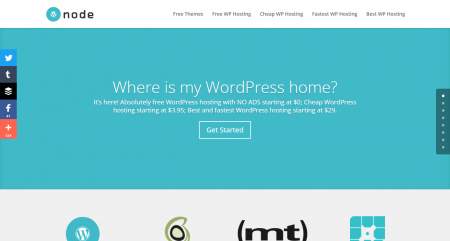 Which is the Best Free WordPress Hosting? Going with a free hosting is like keeping your blog or website and all the related resources in the open and unprotected ground. Still, there is a case where going with a free hosting is recommended. That’s when you’re totally new and planning to learn how things work in real life. And, going with a free option can help you a lot. So, if that’s what’s your situation is, then go ahead and pick any of the followings mentioned best free WordPress hosting options. Again, you should pick these free options (or any) only if you’re trying to learn the way around WordPress. The moment you decide to run a professional or proper blog or website, going with non-free option is highly recommended. You can start with Shared hosting options which are available for as low as $1 per month. Finally, which particular free hosting provider you’re picking now? Let me know your experience in the discussion section which will also help other newbies. Good luck! This item is no longer available ! From my personal experience I can say that using free hosting is a headache. I was using a free hosting for almost 2 months and it was disaster. I switched to https://www.rosehosting.com after reading good reviews about them. I can say that it was the best decision. I recommend not to use free hosting! I hosted websites on free hosting in the past. I will never do that silly thing again. 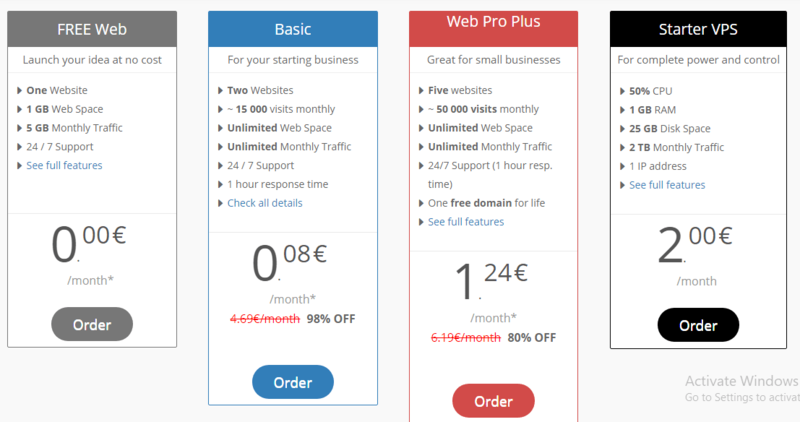 Paying 15 $ a month is not much and most hosting companies have such plans. I prefer to have a team behind me, especially if the website is my livelihood. My current host is better than most and I never had troubles with them. 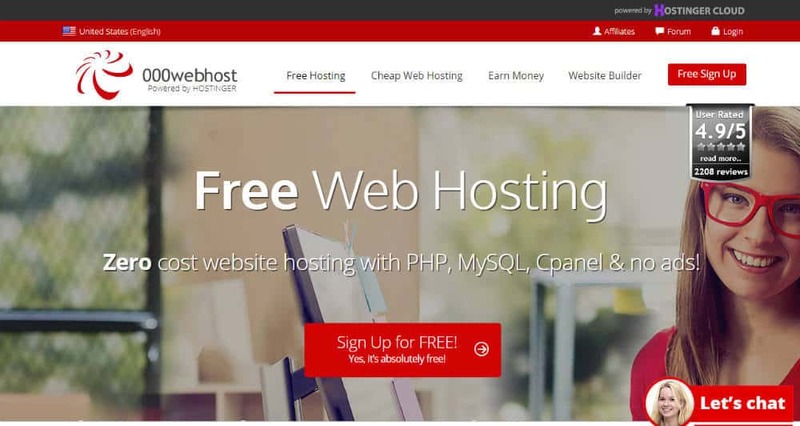 So free hosting – hell no. I couldn’t say it any better myself these days you can even get a good host for as little as $4 per month. If you want to be professional then free hosting is not for you. Well said, but I am sure people choose a free host to start just to test and get familiar with the whole hosting concept. That’s what I did years ago when working with Front Page haha. Hosting a professional website for free is not recommended because there is a big security risk. I always prefer to use affordable web hosting for my websites. Thanks. I guess the big takeaway is don’t host anything serious or professional on a free host. Yes, free hosting is not recommended for a professional blog. But this post is for those just starting out and don’t have any budget. For 150 traffic a day, it can be useful for some. I just wrote a blog post with 9 good and 9 worst hosts to look out for. Do check out and let me know your experience with them so that others can make their hard choice. Thanks. Am currently on the free Byet host plan with a 4month old blog. i have started receiving Warnings of over usage of Cpu resources….even uf free hostung us good for the start point,i think some paid hosts are also whack. Though am moving soon since i’ve graspped everything i need to know in wp. So you used a free host to understand the ins and outs of WordPress? What were you trying to achieve? Hi Brain, thank you for this great article! i have been using DigitalBerg to host my Travel Website travelionx for almost a year now and very happy, They provide Fast SSD Hosting even in their Free Hosting Plan. To get the Free Hosting Plan just follow my link then Select in the top menu: More->Free SSD Hosting, if you need more power they also have affordable Unlimited SSD Hosting & VPS. Happy to hear you are having a positive experience, may I ask you what made you go with a free hosting provider? Hosting for free is just not good sense… They have to make money somehow to pay for their servers. You will be sorry if you go with a free host. I have used 97cents.net, which is close to free (97c per month) for a few years and have had great up time and support on the few occasions I required it. My site is not big so it suits me perfectly. You are right they have to make money somehow. 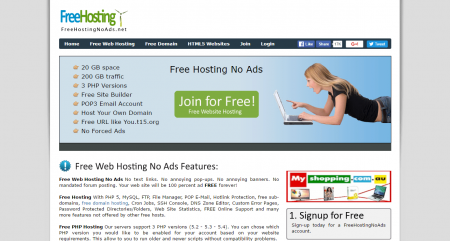 unlimited cpanel hosting without ads, go with these hosting website. Thank you for stopping by and sharing your thoughts. However, I don’t think anyone should consider growing a business with free hosting or any other professional work. These days you can get quality hosting for as little as $2.95.